Anadolu Agency has issued a report on the political and legal changes that will take place in Egypt after the ratification of the constitution passed by referendum this week. 1. Cancelling all constitutional declarations issued by SCAF (the Supreme Council of the Armed Forces) and President Mohamed Morsi. 2. Downsizing the number of High Constitutional Court members from 19 to 11 based upon seniority and changing the nature of its work as it will supervise only political rights, parliamentary and presidential laws. 3. All leading members of the ex-National Democratic Party (NDP) are banned from any political activities. The constitution identifies the leading members of the NDP as “those who had been on 25 January 2011 members in the general secretariat of the NDP or its policies committee or its political executive office or former members in the parliament (the two chambers) in the two parliamentary seasons prior to the revolution." 4. Parliamentary elections will be held according to electoral lists and individual candidates “2/3-1/3” systems. 5. The High Referendum Commission will supervise the first parliamentary elections. 6. Citizens will be granted the personal rights, and civilian and political rights mention in the Freedoms chapter and Civilian Rights chapter of the constitution. 7. The controversial Constituent Assembly will dissolve. The report also details expected future changes, whether laws to be drafted or organising councils to be founded, as listed in the new constitution. For example, there are 10 councils or bodies awaiting new laws to determine whether they will replace existing councils or will be founded independently. 1. The National Security Council whose mission is to face crises of different kinds and establish security strategies for the country. 2. The National Defence Council whose mission is to organise and administer the affairs of the Egyptian Armed Forces, including its budget. 3. A counter-corruption commission whose mission is to fight corruption and conflicts of interest as well to spread the values of integrity and transparency via a national anti-corruption strategy. 4. A high commission for heritage preservation whose mission is to preserve Egypt's social and cultural heritage. 5. A high commission for endowment affairs whose mission is to organise and manage endowments in Egypt. 6. A national agency for the press and media whose mission is to administer state-owned press corporations. 8. A national council for education and scientific research whose mission is to put forward a national strategy for education and scientific research in Egypt. 9. A social and economic council whose mission is to support social dialogue in preparing economic, political, social and environmental policies. 10. A national commission for elections who mission is to organise elections processes in Egypt. The Anadolu Agency report also included 19 laws expected to be issued by the Shura Council and later by the People's Assembly. Among these laws are the parliamentary elections law, the minimum and maximum wage limit, the pensions and national solidarity law, the Sheikh Al-Azhar elections law, the local council and municipality law, the military judiciary law, and the NGOs law. Al news media by being very influential shoulld call for the setting up of an Independent Commission to look into in detail all aspects about the administration and rule of the Mubarak rule. The announcement of such a commission will demonstrate to the world about Egypt is serious to moove forward. 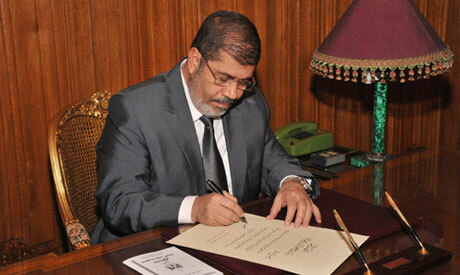 The result of the enquiry will make Egypt wiser and the whole will also learn from the great Egypt. I take an issue with this article. Referencing the Anadolu Agency as the source of information, is like giving your watch to someone and then ask him about time. A.O has great reporters, why could they extract this information from the newly approved constitution. We've spent great deal of time to critique the document, but end up missing key details. Some of these 'Councils' are the same or similar to the ones I proposed (in the Constitution I wrote almost two years ago) - Antiquities, Electoral - while others have been fundamentally twisted to another form and function. An anti-corruption commission can hardly make up for watch-dog agencies with real power, and the National Security Council has been changed from a body that handles foreign affairs, and checks a dangerous president, into a nondescript powerless non-entity. The freedom of information commission has been changed from a watchdog of the government into an instrument of government control. Bravo Egypt !! you are now on the sprint block ready to surge forward by the changes mention in the above report. It is however notably absent is the Commission of Enquiry into the Mubarak Rule. Egypt must not miss the opportunity to study in detail the previous regime as there is a lot to learn from it. The social and economic council is not given a proper priority and only listed no: 9. It should be functioning immediately and not later to advise the President on short and long term economic strategy and measures. Egypt just like any other nation cannot afford to wait even one day more as far as socio economic matters are concerned. Dont only look at IMF and Western Banks who will place Egypt at their feet unless there is no other alternative. Look around for nations that can offer advise, lessons to be learnt or even support. At the same time too much mammoth demonstrations will worsen the economy.